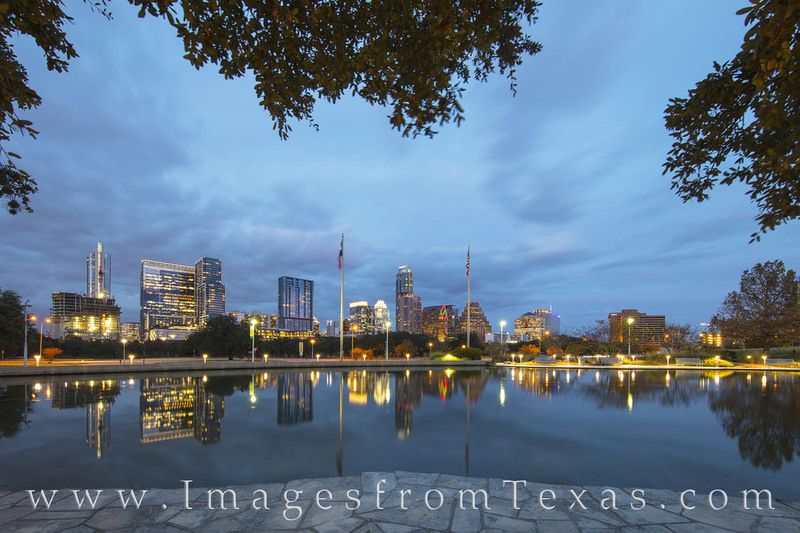 The Austin skyline rises into a cold December evening as reflections of the high rises shimmer in the still water near the Long Center. The Austonian is currently the tallest building, rising above the most iconic structure - the Frost Tower. Photo © copyright by Rob Greebon.